Afghanistan, Albania, Algeria, American Samoa, Andorra, Angola, Anguilla , Argentina, Armenia, Aruba, Australia, Austria, Azerbaijan, Bahamas, Bahrain, Bangladesh, Barbados, Belarus, Belgium, Belize, Benin, Bermuda, Bhutan, Bolivia, Bosnia-Herzegovina, Botswana, Bouvet Island, Brazil, Brunei, Bulgaria, Burkina Faso, Burundi, Cambodia, Cameroon, Canada, Cape Verde, Cayman Islands, Central African Republic, Chad, Christmas Island, Cocos (Keeling) Islands, Colombia, Comoros, Congo, Congo, Costa Rica, Croatia, Cuba, Cyprus, Czech Republic, Denmark, Djibouti, Dominica, Dominican Republic, Ecuador, Egypt, El Salvador, Equatorial Guinea, Eritrea, Estonia, Ethiopia, Falkland Islands, Faroe Islands, Fiji, Finland, France, French Guiana, Gabon, Gambia, Georgia, Germany, Ghana, Gibraltar, Greece, Greenland, Grenada, Guadeloupe (French), Guam (USA), Guatemala, Guinea, Guinea Bissau, Guyana, Haiti, Holy See, Honduras, Hong Kong, Hungary, Iceland, India, Indonesia, Iran, Iraq, Ireland, Israel, Italy, Ivory Coast (Cote D`Ivoire), Jamaica, Japan, Jordan, Kazakhstan, Kenya, Kiribati, Kuwait, Kyrgyzstan, Laos, Latvia, Lebanon, Lesotho, Liberia, Libya, Liechtenstein, Lithuania, Luxembourg, Macau, Macedonia, Madagascar, Malawi, Malaysia, Maldives, Mali, Malta, Marshall Islands, Martinique (French), Mauritania, Mauritius, Mayotte, Mexico, Micronesia, Moldova, Monaco, Mongolia, Montenegro, Montserrat, Morocco, Mozambique, Myanmar, Namibia, Nauru, Nepal, Netherlands, Netherlands Antilles, New Caledonia (French), New Zealand, Nicaragua, Niger, Nigeria, Niue, Norfolk Island, North Korea, Northern Mariana Islands, Norway, Oman, Pakistan, Palau, Panama, Papua New Guinea, Paraguay, Peru, Philippines, Pitcairn Island, Poland, Polynesia (French), Portugal, Puerto Rico, Qatar, Russia, Rwanda, Saint Helena, Saint Kitts and Nevis, Saint Lucia, Saint Pierre and Miquelon, Samoa, San Marino, Saudi Arabia, Senegal, Serbia, Seychelles, Singapore, Slovakia, Slovenia, Solomon Islands, Somalia, South Africa , Taiwan, Tajikistan, Tanzania, Thailand, Togo, Tonga, Tunisia, Turkey, Turkmenistan, Tuvalu, Taiwan, Turkey, Vanuatu, Venezuela, Vietnam, Yemen, Zambia & Zimbawe. We introduce ourselves as one of the noted manufacturer, trader, exporter and supplier of Ignition Cables. The best quality of raw material in a perfect ratio is used to manufacture our offered cables. These cables are precisely tested for tested conductivity, tensile strength by our dexterous professional which helped us to come up with such distinct range. These cables are available in full range of sizes and shapes at industry-leading prices. We are reckoned manufacturer and supplier of wide assortment of NBR Rubber Cable. Our offered wire finds its application in electronic industries for making electronic appliances and tools. This wire is manufactured using optimum grade silicon with the help of high-tech techniques in compliance with set industry norms. Moreover, it is checked for its quality on series of quality parameters before being supplied to our clients. Clients can avail this wire from us at a pocket-friendly price. 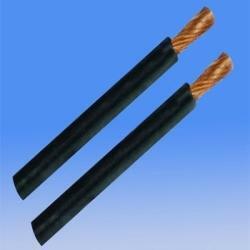 We are one of the noted manufacturer and supplier of a wide range of EPR / PCP Rubber Cables. These cables are manufactured using efficient quality raw materials and are processed under contemporary technologies. We have a team of profession experts that supervises the manufacturing process of these cables. Our clients can buy these products from us at reasonable price range. We established us as brand name in the market. We are the excellent manufacturers and exporters of EPR Rubber Cables, PTFE nsulated cables, rubber cables, welding cables, fibreglass cables, RTD cables, copper wire braided flexible stripes and ropes, DCC ropes, high temperature cables, silicon elastomer cables, copper wire flexible for earthing purpose, copper aluminum bimetallic stripes. We manufacture material as per customers specifications, please let us know about your new requirements for the same. We have established ourselves as a renowned manufacturer and supplier of Rubber Cables. These cables are manufactured using high quality rubber so that these are in tandem with international quality standards. In addition to this, we offer customization facility of the offered cables as per the demands laid down by our esteemed customers. We are the prominent supplier and manufacturer of Ethylene Propylene Rubber Cables. Our company with its supreme service to its clients for past so many years has gained a renowned name and fame in the market for manufacture, supply and export of a much wider range of electric cables. We are also providing our clients with these ethylene propylene rubber cables which are made up of one of the superb quality rubbers that are ethylene propylene rubber which is a saturated chain of poly-methylene type. These rubbers are also known as synthetic elastomers and hence they are very flexible and resistant towards heat and high temperatures. We are providing these EP rubber cables to our clients at a very economic range of prices. Leading manufacturer of cables used in cement companied the cables which are used in cement companies are manufactured by us . Bhuwal cables have an huge expiriance for this types of cables . We manufacture this types of cables with high quality for our valued customers . 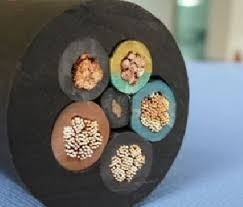 We introduce ourselves as one of the noted manufacturer, trader, exporter and supplier of Boiler Cable The best quality of raw material in a perfect ratio is used to manufacture our offered cables. These cables are precisely tested for tested conductivity, tensile strength by our dexterous professional which helped us to come up with such distinct range. These cables are available in full range of sizes and shapes at industry-leading prices. We introduce ourselves as one of the noted manufacturer, trader, exporter and supplier of 22 Awg 600v Wire. The best quality of raw material in a perfect ratio is used to manufacture our offered cables. These cables are precisely tested for tested conductivity, tensile strength by our dexterous professional which helped us to come up with such distinct range. These cables are available in full range of sizes and shapes at industry-leading prices. We introduce ourselves as one of the noted manufacturer, trader, exporter and supplier of Ignition Lead Cable. The best quality of raw material in a perfect ratio is used to manufacture our offered cables. These cables are precisely tested for tested conductivity, tensile strength by our dexterous professional which helped us to come up with such distinct range. These cables are available in full range of sizes and shapes at industry-leading prices. We BHUWAL CABLES are considered to a most trusted named engaged in offering an extensive range of Is 9968 Cable. Using superior quality of raw materials and contemporary technologies these cables are manufactured. We have a team of well trained laborers who design these cables wires under the guidance of our professional experts. Our clients can avail these from us with various specifications that too at market leading rates. In keeping with the company's commitment to technological advancement, elastomer materials such as Polychloroprene (PCP), Chloro-Sulphoneted Polyethelene (CSP), Nitrile Rubber / PVC blends, Ethylene Propelene Rubber (EPR), Ethylene Vinyle Acetate (EVA) and Silicone have been specially compounded to meet numerous heat oil and fire resisting requirements. We are the prominent supplier and manufacturer ofEthylene Propylene Rubber Cables. Our company with its supreme service to its clients for past so many years has gained a renowned name and fame in the market for manufacture, supply and export of a much wider range of electric cables. We are also providing our clients with these ethylene propylene rubber cables which are made up of one of the superb quality rubbers that are ethylene propylene rubber which is a saturated chain of poly-methylene type. These rubbers are also known as synthetic elastomers and hence they are very flexible and resistant towards heat and high temperatures. We are providing these EP rubber cables to our clients at a very economic range of prices. We are counted amongst renowned & trusted names in offering wide range of Nitrile rubber cable. Keeping in mind, ever-evolving requirements of our valuable clients, we are offering an exclusive range of 4/0 Welding Cables. The offered range is designed using high grade raw material and latest technology in compliance with international standards. Our esteemed clients can avail this array of cables at competitive prices. In addition to this, we provide our entire range in different specifications to meet the varied needs of clients. With the assistance of our wide distribution network, we are able to offer for our valued clients the range of EPR Rubber Cables. We manufacture and export the array by utilizing the superior quality silicon material procured from the trusted market vendors. 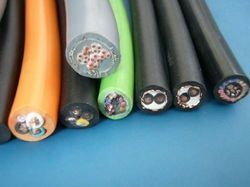 Due to their elevated durability, the cables are acknowledged among electrical machines, steel mills, nuclear reactors, textile machines, wind mills, airport lighting, power plants and turbines. Offered at discounted prices, the collection of EPR Rubber Cables is delivered to the client's end within the promised time frame. Leveraging on vast industry experience, we bring forth a wide range of Silicon Epr Rubber Insulated Cables. Procured from our trusted vendors, these cables are manufactured by employing most sophisticated technology. Our offered product is highly acknowledged for its high elasticity, tear & heat resistance, elevated durability, high conductivity and many more. Further, we offer these cables to the clients at most reasonable price. 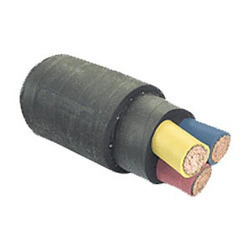 These Silicon Epr Rubber Insulated Cables find their appliances in turbines, electrical machines, textile machines, steel mills, nuclear reactors, airport lighting, power plants, wind mills and many others. Bhuwal cables offers a complete range of Silicon Rubber insulated wires & cables from 0.25 sq. mm to 240 sq. 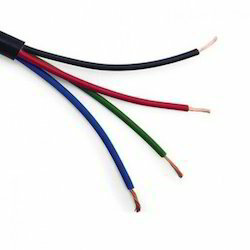 mm, Silicon rubber insulated wires are used where ever ambient temperature is very high upto 220oC combined with high dielectric breakdown when compared to ordinary PVC / Rubber insulation. Silicon insulated wires are made as per IS 9968 part 1 & 2, which specifies working voltage of 1100V, however special insulation thickness wires are also available with construction as per customer requirement. We also offer multicore Silicon insulated cables with various choices of outer sheath coatings as per customer requirements. For temperature - more than 220oC, we offer silicon insulated conductor single & multicore with overall coating of Silicon rubber, this gives greater flexibility to the final cable while maintaining high temperature. K.M CABLES & CONDUCTORS offers a complete range of EPR/PCP/TRS Sheathed elastrometric trailing round flexible cables, which are heat resistant, oil resistant & flame retardant wires & cables from 0.25 sq. mm to 240 sq. 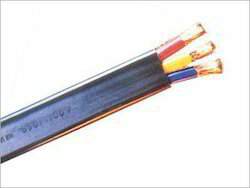 mm Single & Multi Core Cables Upto 1100 Volts CONF:IS 9968 Part 1 (1988).